As we’ve mentioned more than once, the collection is growing! We’ve got new products and designs coming out daily, and we’ve landed the next step in our plans to grow as a brand. BUT…not just yet. You’ll have to wait a few months, March in fact, before you’ll see us online but seeing as you ones reading are our most loyal, you’ve got the heads up in advance. No worries. We’ve posted some behind the scenes of how it went, so if you’ve been watching our Instagram then you’ll know it’s more than just print bombers and box logos. We’re talking coats, over shirts, new tape, old tape, the sickest-in-the-game tape. We mean it, we’re coming from all angles. All angles and all textures: with new weight jerseys, different cuts of t-shirts, longer length and boxy fits. So whatever you’re preferred style is, we’ve got it covered! 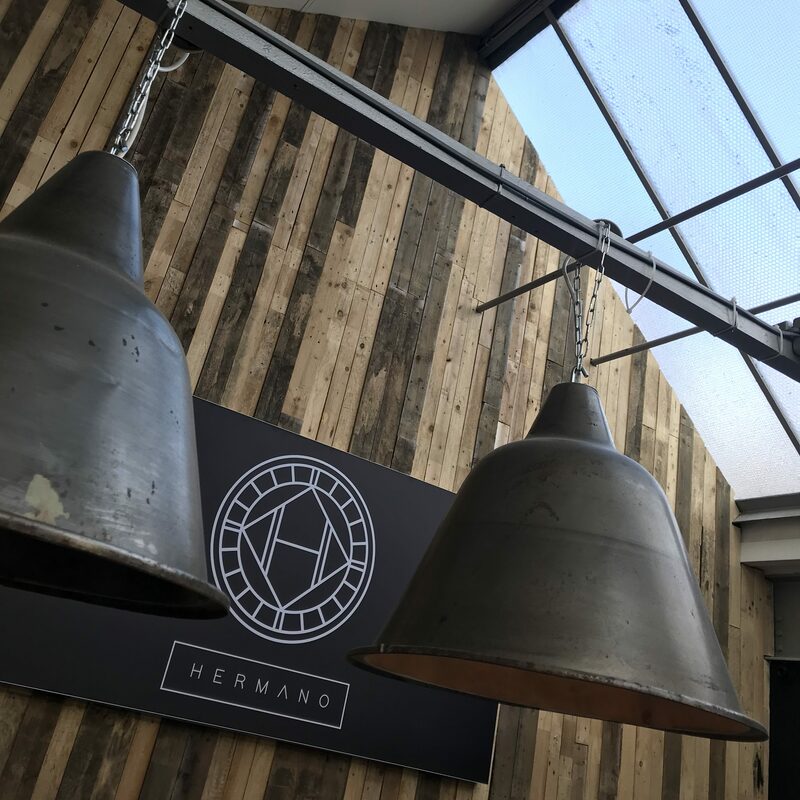 So send us your #HermanoHQ pictures and we’ll repost the ones that we like best. Speaking of images, we’ve got new ones too! This week we shot like we never had before, we kept things simple and used a location that we know best- Hermano HQ. We wanted to keep it at home so that we could capture the originality of what we’ve got, and also because there was a lot to get done! We covered shirts to sweats and jeans to jackets, so expect to see them soon, worn by our very own Pete Wicks. Let us know what you think, we appreciate every comment or message we recieve!